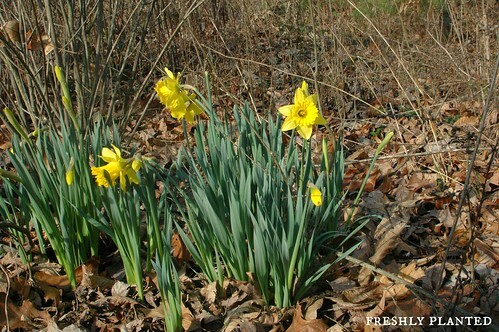 Spring is making its usual noisy return around here! The tree frogs are already out, filling our evening with their courtship songs, and more birds return everyday to sing in our woods. 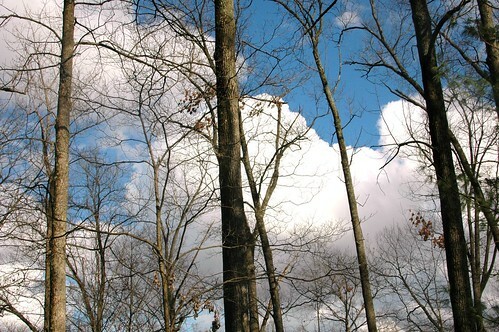 Our kids are singing more too, joyfully shedding layers as they jump from log to log. While we usually hold daily circles, we've moved away from them lately- becoming more task-oriented than joy-oriented. Focused on the end, but losing sight of how pleasant the journey can be. 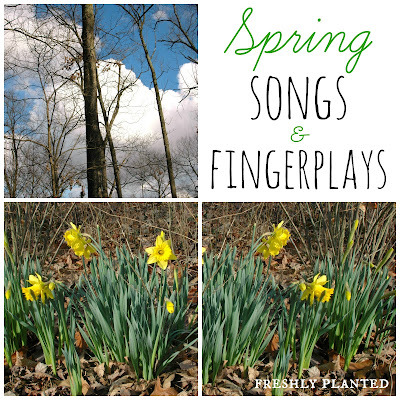 If you're in the same boat, then I'll urge both of us to revisit songs and fingerplays this spring. Children long ago used to enter adulthood with a full heart of memorized words & songs. These fingerplays, poems, and songs not only broaden vocabulary, but also teach kids rhythm & rhyme- which makes them better readers later on. 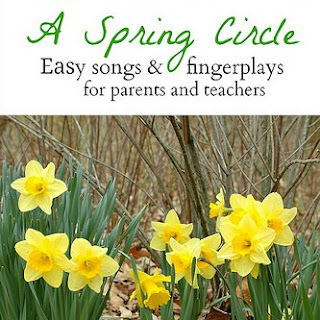 Here are some songs & fingerplays we're currently singing as well as some of our favorite spring books- best enjoyed on a quilt in the beautiful sunshine. Popcorn & tea are optional, but highly recommended. "Wake," said the sun, "and creep to the light." "Wake," said the voice of the raindrops bright. This is the "Through The Year" poem we're learning to help with our months. Oh I love this! We've been incorporating more fingerplays and poems into our homeschool. I'm definitely pinning this to my Deliberate HOMESCHOOLING board!